I love testing out moisturizers, so I was psyched to receive the NoTS 28 Remedy Balancing Day Moisturizer from 08liter.com. This moisturizer retails for over $40 (though you can find it currently for around $25) and isn’t something I’d pick up on a whim, so it was nice that I got to try it out for free. The NoTS 28 Remedy Balancing Day Moisturizer is a light gel moisturizer that comes in a fancy-looking plastic pump bottle. It claims to be for “acneic woman skin” (lol) and is meant to balance out oil production while providing hydration. It has no scent. 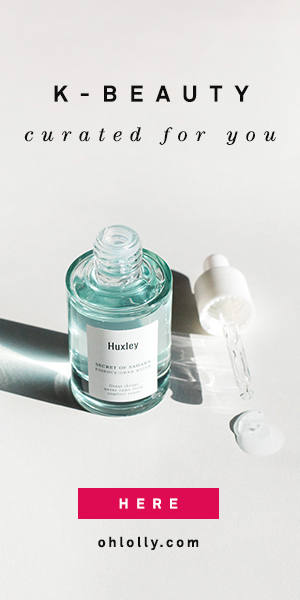 The ingredients list has a lot of great components — sodium hyaluronate and niacinamide are high up there followed by a bunch of fruit/plant extracts. Predominantly though, this is a silicone-based light gel moisturizer, and it feels like it. It has a very slick and silky feel as I spread it over my face. It absorbs very quickly and leaves my face feeling very fresh and smooth. I inputted the ingredient list to CosDNA (see analysis here) and the most problematic ingredient is triethanolamine, a pH adjuster that some people can be sensitive to. It does have a lot of nice fruit and plant extracts, many of which are acne-fighting. I found that while I really enjoyed the silky fresh feel of the moisturizer, the NoTS 28 Remedy Balancing Day Moisturizer was in no way moisturizing enough as a standalone moisturizer. I have combination-dehydrated skin, and oddly enough, my skin produces MORE oil when it isn’t moisturized enough. It would have been wonderful if this moisturizer really DID balance my oil production while hydrating my skin, but sadly it did not. I did feel that immediately after I used it, my skin felt soft and hydrated, but over the next hour my skin started feeling very dehydrated and tight. So instead of using it as a standalone moisturizer, I started using it on TOP of a heavier cream (LadyKin Vampir Dark Repair Cream). It kind of acted as a primer to create a really smooth surface and worked quite well that way. THEN, I found that when I looked the product up on the NoTS website, this “moisturizer” is actually supposed to be used before your serum, right after cleansing, which would make it more of a hydrating toner or lotion! I guess I had been using it all wrong! But honestly, this doesn’t really make sense to me, because the 28 Remedy Day Moisturizer contains a lot of cyclomethicone (the second ingredient after water) that, one would think, would prevent serums and creams from absorbing. My dehydrated skin NEEDS to drink up all the serums it can get, so that wasn’t really a routine order that would work for me. I think the NoTS 28 Remedy moisturizer will be much, much more useful in the summer. It’s just a little unfortunate that I received it in the winter when my skin needed a much richer cream. I’ll keep it around and try it again in a few months. I do like the texture very much so I hope it works better for me then. You might like this more if you have oily, more resilient skin and you like a light gel moisturizer. Amazon NOTS 28 Remedy Balancing Day Moisturizer for $24.66. Note: This post contains an affiliate link — I’ll get a small commission if you make a purchase through my link, but it won’t cost you a penny more.